The TWE 17000 has been designed to fit comfortably for all hands, including when wearing a work glove. The neck of the handle has been tapered so that when grasped, the trigger can be accessed easily, without any unnecessary strain. The handle length allows for better balance of the stud gun and it keeps the welding cable and connector away from your hand, minimizing operator fatigue. The TWE17000 heavy duty stud gun has a welding range from 1/8” through 1-1/4” diameter studs. The TWE17000 is approximately 10.0″ long from the weld cable to the back cap, and approximately 7″ long from the top of the stud gun to the bottom of the handle. 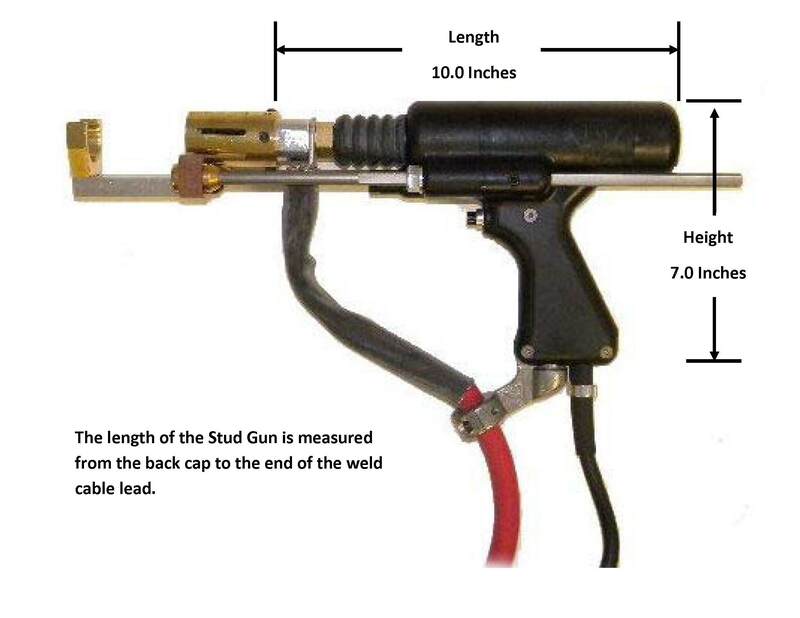 The overall weight of the gun is approximately 5.2 lbs., excluding 8.5 feet of 4/0 weld cable and 8 feet of control cable (this also excludes all connectors, legs, and foot piece). The TWE17000 can be ordered to operate with any type of stud welding equipment. 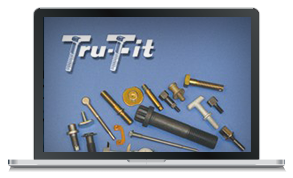 Simply specify the make and model of your equipment and we will provide you with a stud gun connection that is compatible with your unit, regardless of the manufacturer.